Powered by Honda’s revolutionary ‘Optimax’ & ‘Ergo tec’ technologies, the CB Shine leaves a shining presence on the road with its superior performance, just like its riders, who always leave a positive impact on everyone they meet. CB Shine’s ’Ergo Tec’ design with lightweight advanced diamond frame and double suspension offers superior absorption of shocks & vibrations thus providing excellent ride comfort & stability. Riding position based on human engineering ensures, less fatigue and firm & wide seating space with comfortable seating posture for pillion rider. 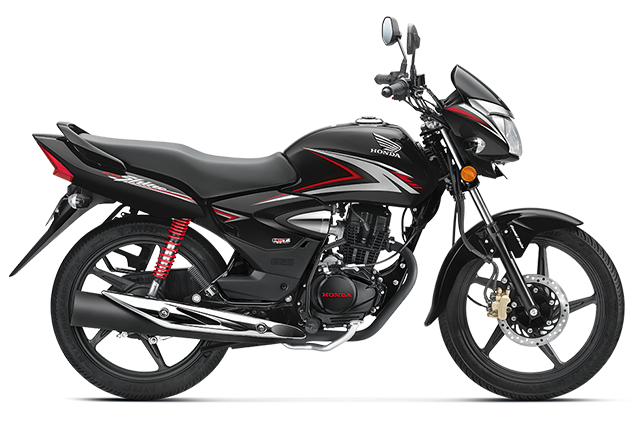 The new CB Shine now has new styling elements such as the chrome cover for the muffler, as well as for the carburetor. ‘Automatic Headlamp On’ (AHO) and HET with Bharat Stage IV norms are also followed to keep you ahead of the rest.